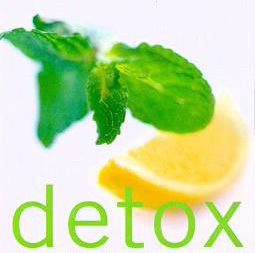 We believe Detox is one of the most imperative aspects of Getting Well or Staying Well in the modern world. Think of it this way, if you get a splinter in your hand and leave it there, you can hardly expect your immune system to take care of it just because you put Neosporin on it and wrap up the wound. You actually need to take the splinter out of the wound or the body will create an infection. You probably think the body was designed to deal with day-to-day toxins and poisons, isn’t that what the immune system is for? So let’s discuss the difference between Detox and Cleansing. Most people believe that Detox and cleansing are the same thing or just don’t understand the difference. Dr. DeHaan describes cleansing as the body’s natural process of ‘eliminating’ daily waste material produced by natural body functions. Similar to your car producing exhaust when it burns the gasoline, your body also produces waste material. Every cell in the body is continually burning fuel to keep you alive. A healthy body is well equipped to deal with most of these natural toxins through the channels of elimination (sweating, bowel movements, urine and exhaling carbon dioxide). If it is part of the natural and normal function of the body, it is considered part of the cleansing process. Many people, whether due to unhealthy lifestyle or inherent issues, have difficulty with elimination. We provide IC-1 to act as a daily fiber and Bowel Stimulant to “get the job done” under the Nutrition tab. While these products help restore the body’s natural cleansing process, this is cleansing, not Detox. Because the human body was not designed to deal with most of these toxins and poisons, they simply accumulate in body tissues and eventually become the cause of many health issues. In the past two decades of clinical practice, Dr. DeHaan has discovered that all symptoms, illnesses, diseases or health issues have some form of toxin that has accumulated. Often the responsible toxin isn’t even something exotic. Time after time, Dr. DeHaan finds common bacteria, fungus or even parasites that the immune system should have taken care of. Unfortunately, the accumulation of those toxins that the body is not designed to deal with keep the immune system working overtime ‘trying’ to keep you healthy. With the immune system busy, the more common toxins just slip by the body’s natural defenses and now become a health challenge. Use the right Detox remedy and you will experience much more dramatic healing results. Sometimes it is hard to know which remedy will be the most effective for your condition. That is why we have experts you can ask through our On-Line Consulting. You certainly will not harm yourself or your body in any way by choosing the wrong remedy. In the worst case scenario, you simply won’t get the desired results. This entry was posted in All About Cleansing At Home, Top Blogs. Bookmark the permalink.